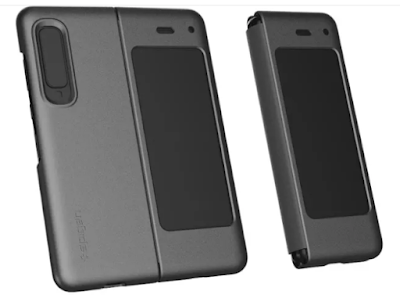 Spigen is one of the first to work out a design, and it’s shared mock-ups of three products it plans to release for Samsung’s Galaxy Fold. The cases all share similar designs, with front covers protecting the top and bottom bezels of the 4.6-inch outside display and cutouts for the triple-camera system on the back. There’ll be three models — the Tough Armor, Ultra Hybrid, and Thin Fit — with varying degrees of protection, ranging from a thick plastic case to a translucent wrap. All cases will be priced around $20, and largely made out of plastic and silicone materials, like PC, TPU, and PU. 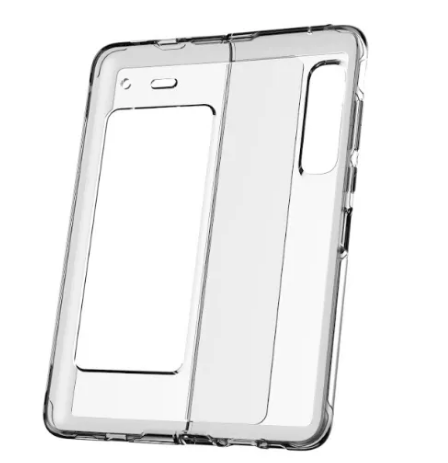 While the outside of the cases look relatively familiar, the key addition here is the hinge, which phone case makers haven’t had to account for in the past. It seems like every company designing a foldable phone has taken a different approach to the hinge — Huawei’s Mate X folds outward, Motorola seems to be working on one that flips closed — while Samsung has gone with a book-like shape that uses a hinge with multiple interlocking gears on the inside to fold closed. We don’t yet know exactly how case makers have designed around the mechanics of the hinge, but Spigen’s mockups offer a first look at how they’re dealing with it. With these cases, seemingly just by wrapping around the outside. It’s also not clear what the story will be for protecting the phone’s display. It’s likely many existing types of screen protectors won’t work, and Samsung hasn’t specified whether the Fold will come with a preinstalled screen protector like its Galaxy S10 will. 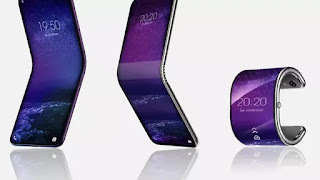 Zagg, another phone accessory company, tells us that it’s started developing cases for foldable phones, but it’s been held back by not having the actual phones in hand yet. Given the challenges of creating an entirely new kind of phone case that folds, Zagg says it’s waiting to receive the devices before commenting on any kind of potential functional limitations it might run into. Spigen has taken a different approach. 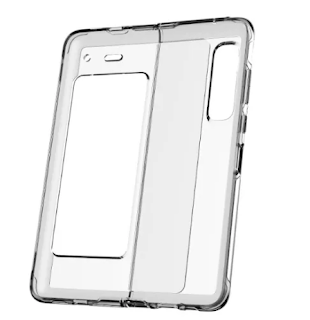 The company says it usually works off of models when making phone cases, and because Samsung detailed the exact measurements of the Galaxy Fold, it was able to put a model together to start building cases. Work started before the phone was completely unveiled, too. 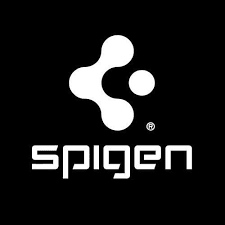 A Spigen developer says the company created around 20 different prototypes to prepare for a variety of options and possibilities: “We had to gather all the rumors and find as many sources as possible to analyze the new structure of the phone”. The company had to consider what material would work best to let its cases fold. The hinge for the Tough Armor case, Spigen says, is made of a “special constructive structure for bending purposes.” Spigen says it’s still developing and testing its cases, but it’s aiming to launch them in mid-April, around the time the Galaxy Fold goes on sale.